Set in Igloolik, a down-on-its-heels hamlet in picturesque Nunavut, Uvanga is the latest in a line of extraordinary feature films to be made in Canada’s far North. 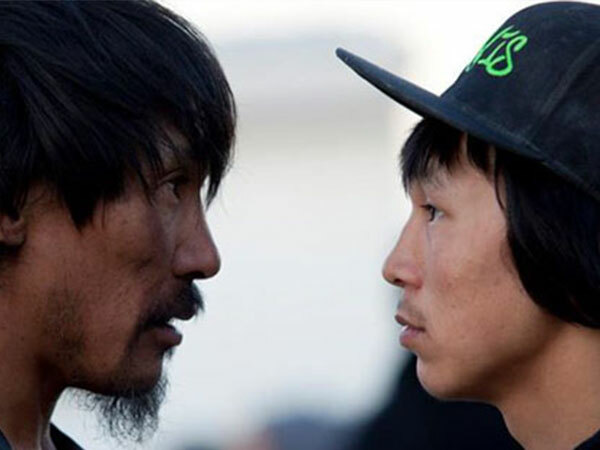 Unlike most previous Inuit productions, Uvanga (which means “myself” in Inuktitut) depicts events taking place in contemporary times and doesn’t resort to the mytho-poetics of Atanarjuat (The Fast Runner), the 2001 Cannes award-winning hit, which kickstarted Inuit dramas on the world stage. Instead of the heroic tale of a naked runner racing for days to elude murderous pursuers, the new film slowly measures the impact on the lgloolik community of the fraught return of Anna, a Montreal woman with her teenaged son Tomas, who is half-Inuit. While Tomas gets to know his grandparents and finds a great pal in Travis, his half-brother, Anna hangs out with old friends and tries to make amends with Sheba, the native woman whose lover Caleb abandoned her for the exotic attractive Montrealer. Uvanga gradually asserts a rhythm, moving from Tomas’ adventures with Travis, learning how to hunt and live in the tundra, with Anna’s integration back into the Inuit community. Central to welcoming Anna back is Tomas and Travis’ grandmother Sarah, who is played by Madeline Piujug Ivalu, the co-director of Uvanga and one of the key participants in Arnait Video, the all-woman collective, which has been producing work in Igloolik since 1991. Arnait’s founder is Marie-Helene Cousineau, who co-directed Uvanga with Ivalu. The duo, accompanied by key collaborator Susan Avingaq, were the creators of Before Tomorrow, the winner of the Best First Feature prize at TIFF 2008, and the recipient of multiple Genie and Jutra nominations. Before Tomorrow was set in the past and the mysterious death of Caleb haunts Anna, Sheba, Sarah, Tomas, Travis—and, indeed, Uvanga. In the final 15 minutes of Uvanga, the past events and those in the present come to a head as Caleb’s and Anna’s secrets are revealed. But it isn’t the melodrama of Uvanga’s final act that makes this such a fascinating film. It’s the feeling for the daily life in Igloolik during the days of the midnight sun and the unspoken kinship between Travis and Tomas that makes this film truly remarkable. You’ll rarely see a film as unique as Uvanga.